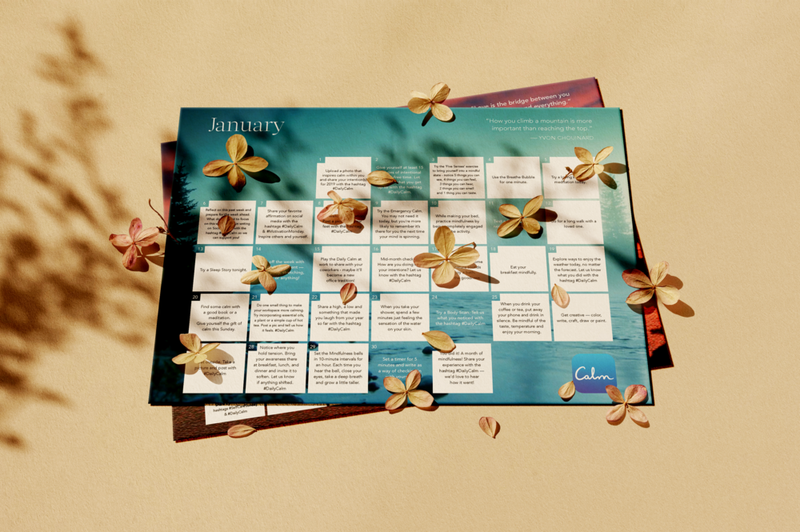 The Daily Calm Calendar is an invitation to meet your life with presence and curiosity. Our daily mindfulness challenges serve as tiny experiments to learn more about yourself and the world. All to say it’s not about getting it right, but rather checking in with yourself and deepening your awareness. May the insights you gain from this practice nourish and support you as you breathe through life’s ups, downs, twists, and twirls. Wishing you a year filled with rejuvenating sleep, relaxation, love, peace, and joy! Calm is the #1 app for sleep, relaxation and meditation. Join the wonderful community of people who are using Calm to ease anxiety, let go of stress and sleep better.